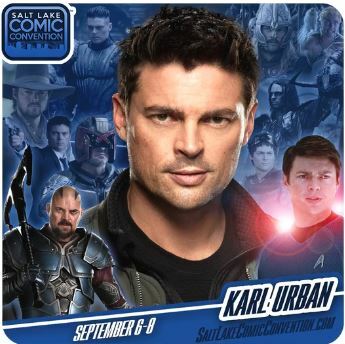 Karl-Heinz Urban is a New Zealand actor best known for his roles as Eomer in The Lord of the Rings Trilogy, Bones in Star Trek, Star Trek: Beyond, and Star Trek: Into Darkness, and Skurge in Thor: Ragnarok. He also played Julius Caesar and Cupid in Xena: Warrior Princess and Hercules: The Legendary Journeys, Munder in Ghost Ship, Kirill in The Bourne Supremacy, Black Hat in Priest, John Grimm in Doom, William Cooper in Red, Gavin in Pete’s Dragon, Vincent in The Loft, Vaako in the second and third installments of the Riddick film series, and Judge Dredd in Dredd. He won acclaim for his performances in New Zealand films The Price of Milk and Out of the Blue. He also played the main character John Kennex in the short-lived television series Almost Human.